When it comes to landscape design, the one thing we at Stoney Creek Landscaping have noticed is that most homeowners across Creston, Wadsworth, Strongsville, Medina, Norton and Wooster, tend to forget about a very important aspect- Landscape Lighting. While they do have some lights installed, no specific effort is made to get these installations planned well. Just training a few floodlights towards the exterior walls of your home or installing a few lamp posts won’t really showcase the beauty of your landscape in the right manner. This is where we come into the picture. We are the landscaping experts that have handled a large number of projects even for customers across Barberton, Seville, Orville, Brunswick, Cuyahoga Falls and Green. 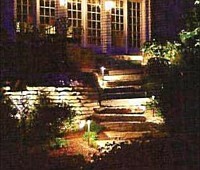 In most cases, yard and garden lighting is part and parcel of any landscape project we handle. 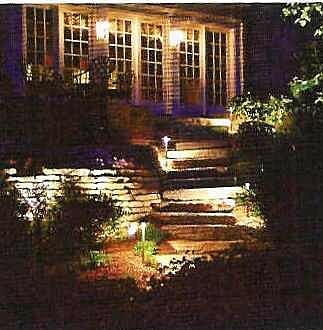 We are very meticulous in our approach to exterior lights installation. Our designers are very creative in their approach to this work. They survey the property very carefully and understand exactly how you and your family use the open areas on your property. They also make note of which features you really like, such as some decorative elements or beautifully structured trees etc. 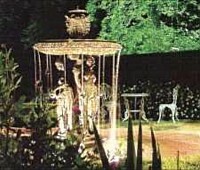 Underwater lighting for ponds, waterfalls and fountains etc. Even as we provide high grade solutions at very reasonable landscape lighting cost, we also focus on energy-efficiency; and use LED bulbs and solar lighting wherever possible. This helps make the installations more cost-effective and low maintenance in the long term. Our solutions are always customized to your needs and we work very closely with you to ensure that the outdoor lighting on your property turns out just the way you wanted it to be. 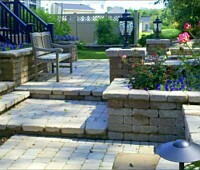 We use the highest grade materials in our work and our landscape light installers are certified, licensed and insured. This ensures the work will be carried out expertly and safely. For more information about our customized landscape lighting installations, call Stoney Creek Landscaping at 330-466-3181. If you prefer to contact us via email, please send us your queries via this online form. You can also request an estimate via our home page and we will respond shortly. Click on the images below to view a larger display.